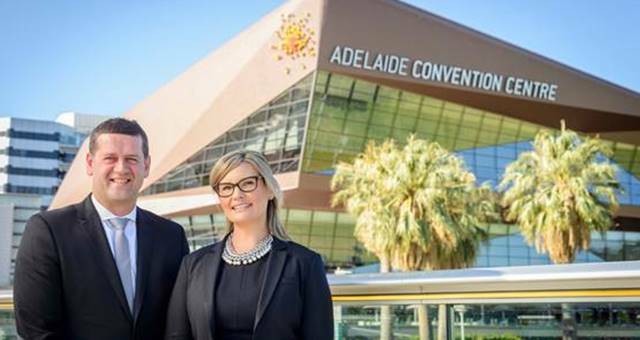 The Adelaide Convention Centre has continued its strategy of opening up the Centre towards the river and taking advantage of its picturesque setting by opening new function rooms including the Riverbank Foyer. The Riverbank Foyer looks directly onto the Riverbank precinct and provides the ideal location for cocktail functions or as a pre-function space for the new Riverbank meeting rooms. The light and airy function space was formerly the site of Regattas Bistro + Bar, which has moved to a new purpose built complex right on the Riverbank. The new function spaces also include Riverbank Room 4, an ideal room for stand-alone events or breakout meetings, and a new boardroom for smaller, more intimate meetings. Meetings in the Riverbank Rooms can now be serviced by a new dedicated office exclusively for conference organisers and clients. Vision and sound from the Riverbank Rooms can be relayed to the office and Riverbank foyer so delegates and conference organisers can monitor proceedings outside of the meeting room. The new function spaces also include Riverbank Room 4, an ideal room for stand-alone events or breakout meetings, and a new boardroom for smaller, more intimate meetings. “It has taken just a couple of months to transform the space into a series of new meetings rooms and function spaces that further increases our capacity and offers greater client flexibility and choice. 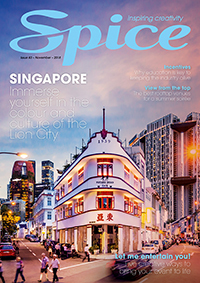 “The new Riverbank rooms are good examples of how the expansion will create multipurpose spaces with the flexibility to host smaller meetings and events as well as bigger national and International conferences. The Panorama Suite, a modern and elegant meeting and function space with brilliant views over the River Torrens and parkland, has opened as part of the overall Centre expansion and is already proving successful receiving strong interest from local, interstate and overseas clients,” he said. On the western side of the Centre, Stage One of the $350 million expansion of the Adelaide Convention Centre is gathering pace with civil works now well underway. 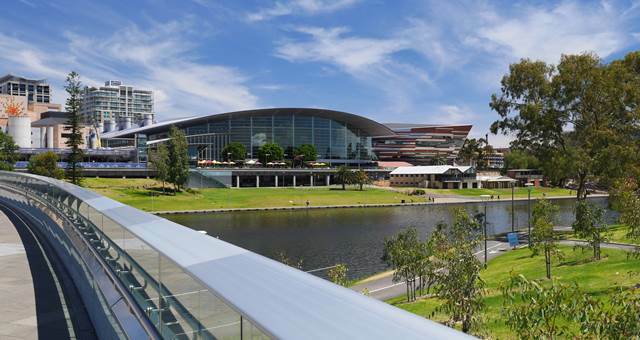 Due for completion in mid-2014, Stage One includes an additional 4,300 square metres of multipurpose convention floor space, associated pre-function spaces and multiple meeting spaces with future delegates and guests to enjoy expansive views across the River Torrens. 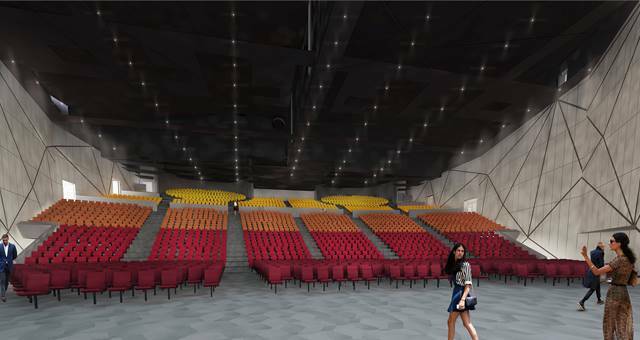 Stage Two of the redevelopment, replacing the existing Plenary Building (home of the original Centre in 1987) with a multi-purpose, state-of-the-art facility with plenary capacity of up to 3,500 seats, is scheduled for completion in June, 2017. Adelaide Convention Centre will soon be home to the world’s largest rotating seating drums.